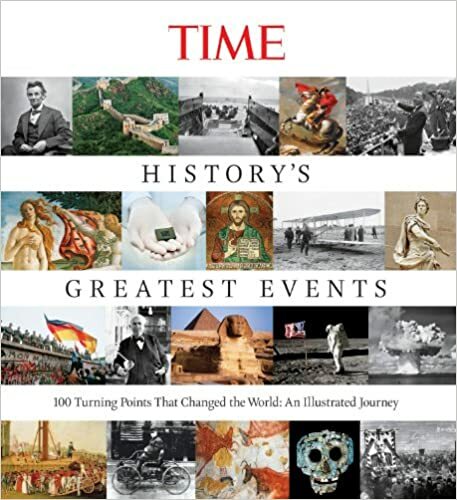 These are ten events from the Twentieth Century that changed the world in a very significant way. It includes the sparks which started major wars and revolutions – affecting the lives of millions of people across the globe. In 1914, Europe was a tinderbox of tension and military rivalry. The spark for war could have been many incidents; but, as it happened the assassination of an Austrian Archduke – Franz Ferdinand by a Serb provoked widespread declarations of war and the fulfilment of treaties which led to the horrendous conflict of the First World War. 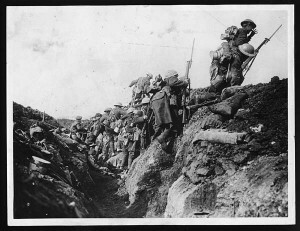 The war was to last four years and cost the lives of millions of men and women from all corners of the world. Since the publication of Marx’s Communist Manifesto, there had been sporadic Communist revolutions in European countries, but nothing had really succeeded. 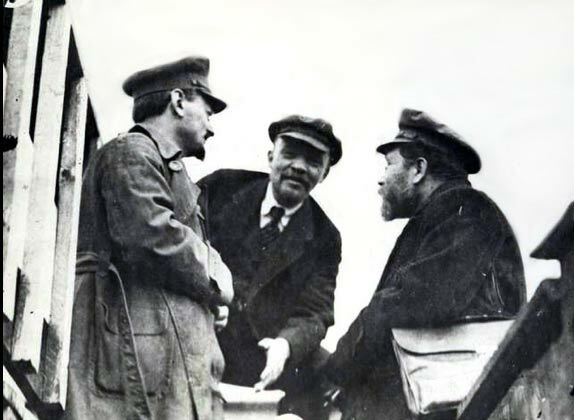 But in October 1917, the Bolshevik revolution, led by Lenin, brought about a radical new form of government with worldwide implications. Lenin was a fervent Marxist and wasted little time in implementing his version of a ‘dictatorship of the Proletariat’. Communist Russia divided the world. It was seen by some as an alternative to the inequities of Capitalism and by others as an embodiment of totalitarianism and lack of freedom. On 1st September 1939, Hitler’s Nazi Germany invaded Poland, ostensibly for ‘lebensraum’ and to redress the imbalances of the Treaty of Versailles. The invasion of a sovereign nation finally convinced the allies – Great Britain and France of Hitler’s wider intentions for the occupation of Europe. After appeasing Hitler over Austria and Czechoslovakia, Poland proved the final straw and on September 3rd, 1939, Great Britain declared war on Nazi Germany. The Second World War was to last until May 1945, costing the lives of approximately 50 million people. 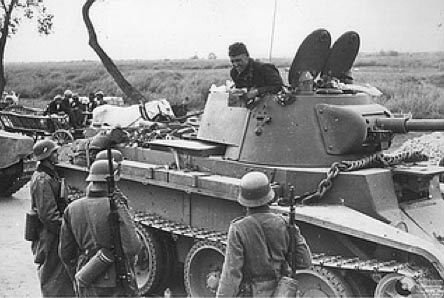 Less well known is that under a secret Nazi-Soviet pact the Soviet Union also occupied parts of Poland at the same time as Germany’s invasion. In 1941, the axis powers held a supremacy over Europe and parts of Asia. Great Britain stood undefeated, but, without the strength to win against an overpowering enemy. 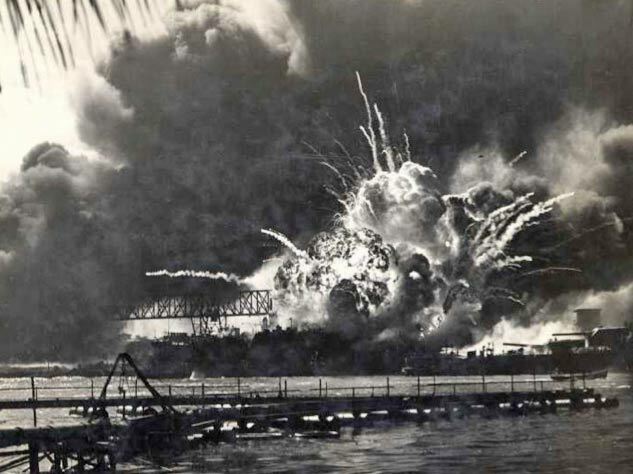 The bombing of Pearl Harbour led to the escalation of the world war into the Pacific arena and also brought American into war with both Japan and Germany. Three years later, it was American troops who provided the majority of the manpower in the liberation of occupied Europe. The US atomic bombs of 1945, devastated the cities of Hiroshima and Nagasaki. The devastation finally brought the Japanese to surrender, bringing to an end a fierce and costly Pacific war. The surrender of Japan had at one time seen unthinkable. But, the atomic bomb hastened the Japanese surrender. 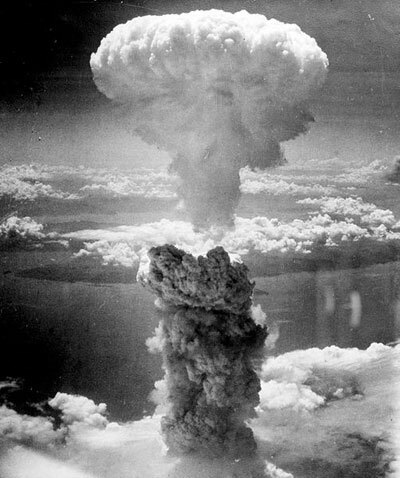 The atomic bomb had implications beyond just the end of the Second World War. It showed the world the potential devastation a third world war could cause. Even now the legacy of Hiroshima and the threat of nuclear war hangs over the world. India had stood as the crowning jewel in the crown of the British Empire. It was the second most populous nation in the world. After many years denying Indian calls for independence, Britain finally agreed to full Indian independence in 1947. Indian independence was accompanied by a painful separation and the birth of a new nation – Pakistan. The separation led to painful incidences of sectarian violence and killing; it led to the migration of many millions of people who found themselves on the wrong side of the border. 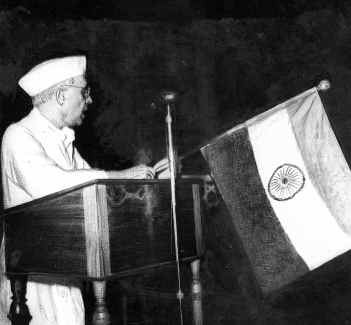 The independence of India also created a newly independent nation which claimed allegiance to neither the US or the Soviet Union – but a third way as Nehru called it. With economic development, India has the potential to become a new superpower in the coming century. In the aftermath of the Second World War, China was involved in a bitter civil war between the Communists led by Mao Tse Tung, and the Nationalists by Chiang Kai-shek. 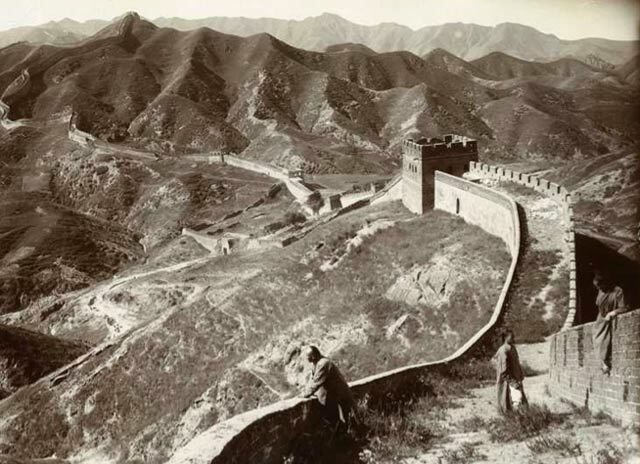 On October 1st, 1949, the triumphant Communist Party established the People’s Republic of China. This created another powerful Communist State in the most populated country in the world. The Communist hold on power profoundly influenced the lives of the Chinese who suffered under the great famine of the 1960s and Cultural Revolution of the 60s and 70s. Even now, the Chinese Communist party retains strong political power – even if it has adapted its economic policies. One of the most shocking and unexpected moments of world history. John F Kennedy had been President since his election in 1960. He was young, liberal and Catholic and had inspired many with his positive vision of the world. After his assassination, Lyndon Johnson became President and American involvement in Vietnam grew, leading to a bitter conflict that came to divide America. 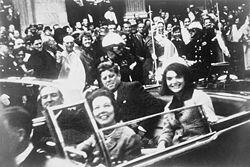 Although Lee Harvey Oswald was arrested for the assassination, evidence points to a wider conspiracy and the involvement of more than one lone gunmen. For decades, the Berlin wall had stood as a symbol of the ‘Iron Curtain’ splitting West and Eastern Europe. On the one side Communist authoritarian states, on the other side liberal democracies. The wall had been built to prevent East Germans escaping into West Germany, and indeed many had been shot trying to escape. But, more than anything else its presence was symbolic. 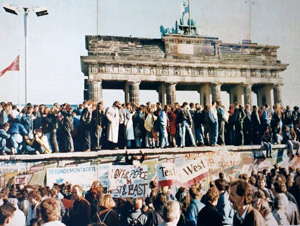 The fall of the Berlin wall was an iconic moment when the Soviet Union gave up its grip on Eastern Europe. In the 50s and 60s, the Soviet Union had sent tanks to quell independence movements in Hungary and then Czechoslovakia. But, this time, Mikhail Gorbachev, the proponent of Perestroika and Glasnost approved the request for freedom. The US had experienced sporadic terrorist attacks before. But, the sheer audacity and scale of these terrorist attacks shocked the US and the world. The loss of life was estimated at just under 3,000. The event changed American foreign policy. It was a motivating factor behind the controversial invasion of Iraq and led to a ‘war on terror’ symbolised by Guantanamo Bay and a debate over the justification of torture. The stock Market crash of 1929 and subsequent Great Depression. Dunkirk and the escape of the British army. Operation Barbarossa and the invasion of Russia. Freedom of Nelson Mandela from jail in South Africa. It is always hard to choose a top ten. But, this is a few we have chosen. Citation: Pettinger, Tejvan “Events that changed the World”, Oxford, www.biographyonline.net. Published 11th April 2012. Updated 8 February 2018. 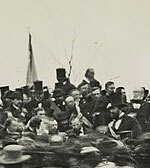 Great Events in American History – A list of some of the great moments in the history of the United States, by chronological order – from the arrival of Columbus to landing a man on the moon and the end of the Cold War. People who changed the world. Famous people who changed the course of history including Socrates, Newton, Einstein and Gandhi.